Castle Builder Design is a WordPress expert! While we love designing new WordPress sites and custom themes, we also work with clients with existing WordPress websites that are giving them grief. Our services range from style tweaks and page templates to resolving plugin conflicts and security issues. We offer a starter package below. Complete agreement and purchase package. Gather and send required information via secure form. Discuss WordPress issues by phone with Amélie. Allow 1-2 business days after your call for your assessment. Spend up to 2 hours troubleshooting your issues. Give you an estimate when a more complex fix is required. Note: This is NOT an emergency or 24/7 service, though we do usually have quick turnaround. We are generally available weekdays during regular business hours (U.S. eastern time zone). You may check Amélie’s schedule before purchasing. Sign up for this service only if you use WordPress software on your web hosting account or server. 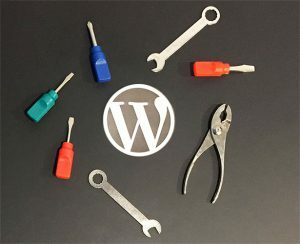 Castle Builder’s WordPress Troubleshooting is for self-hosted WordPress websites, it is not for WordPress.com. If you use other software or web services, please contact us to discuss your needs.